Throughout this lesson on portrait painting in Photoshop, you’re going to be using just one simple brush. Using one brush is a very good idea if you are just starting out with digital painting because it’s going to allow you to have a simple workflow without the need to worry about changing different brush types. The brush that you are going to be using is the 24 point spatter brush. This is a default brush that comes with every version of Photoshop, so you won’t have to worry about installing any custom brushes. You can bring up the brushed window with the F5 key on your keyboard or go to Window > Brushes from the menu at the top of your screen. 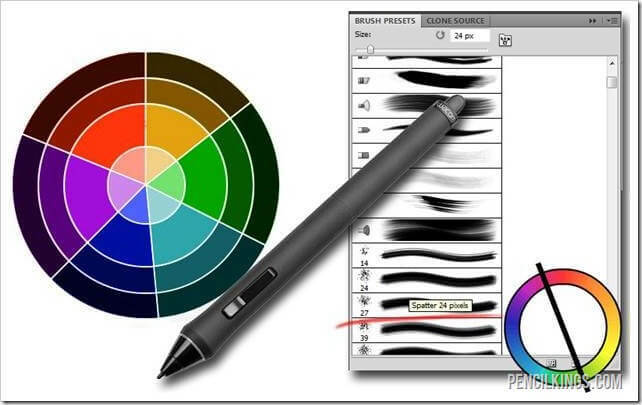 The only special setting that you’ll need for this brush is to make sure that the opacity is set to match your pen pressure. What this means is that if you press harder with your pen your brush strokes will appear darker, and if you use lighter strokes it will appear lighter. In the traditional color wheel, you start off with the primary colors of red, blue and yellow. When you begin to mix those colors you also get the variations of purple, orange, and green. To find the split complement colors what you need to do is look at the complementary color and then select the color on either side of that complement as it mixes with the other one.It’s a little hard to explain with just text, but we know that orange is the complement of blue, and if we choose blue as our dominant color then we need to find the split complements. To do this, you find the value of Orange that is partially mixed with yellow on one side, and partially mixed with red on the other side. To explain this further I suggest that you take a look at this YouTube video that will explain how to get your split complement colors in greater detail. 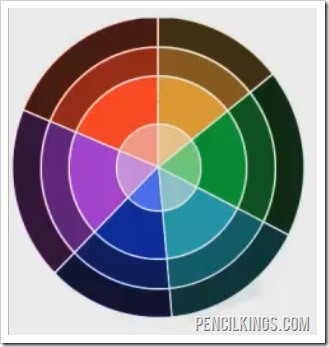 Once you have a split complementary color wheel as shown in this lesson, you can then adjust the hue of this color wheel to get endless variations.Because you’re going to be painting a portrait in this lesson series, it’s a good idea to choose a skin tone as your dominant color. If you’re new to mixing colors it may seem a little confusing why you would spend so much time with this, but the idea behind the split complementary color wheel is that by using it to mix all of your future colors your final painting will consist of all harmonious colors, giving you a more natural feel. In general, you should always try and stick to your color palette so that your painting will remain in harmony. 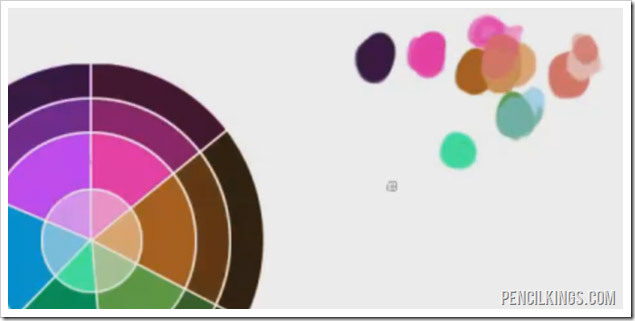 While it is very easy to select additional colors, especially when you’re using a computer, it’s best not to do this and to force yourself to stick to the color wheel that you’ve established in the beginning. We you you’ve already learned a lot about portrait painting in Photoshop from this article. See you next time!